Revver wrote: Thanks. Now that you made it this far and gained the experience, if you had to begin again, what would you do differently? ... Well maybe one or two areas, its proven a great test bed for ideas. It would be nice to start a fresh and build a frame from scratch one day! Last edited by Clannagh on Wed Nov 22, 2017 11:28 am, edited 1 time in total. Plus Futura wireless sending unit & spoke magnet (not easy to remove), a mirror in left handle bar end, reflectors on rear of cage pedals. over 0.6 k of added weight. I like toe clips & straps so I can wear light weight shoes I can walk comfortably in in case of a breakdown. Ridden over 15k miles since purchase in 2007. Last edited by Revver on Tue Nov 21, 2017 10:32 pm, edited 3 times in total. Plus Futura wireless sending unit & spoke magnet (not easy to remove) & a mirror in left handle bar end. Echo what others have said - awesome thread, really cool to see and looks well executed. Took all of the add ons off my 66, except for the toe clips, pedal straps & pedal reflectors for a "stock" 66 reference. will drop 56g when TI skewers arrive. After 10 years of use by me. 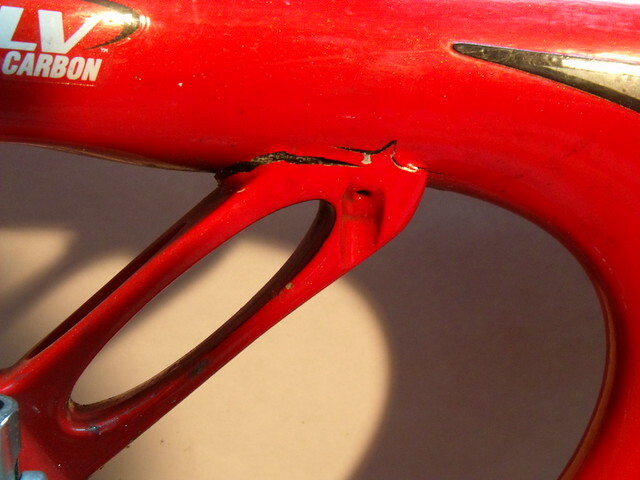 Front derailluer shifting killed by break. This is a fantastic bike/mod/thread! Probably the most interesting build I've seen on here. Chapeaux! Really impressive build. Man I’m jealous of your skills with CF. Well I have started a Scott Addict WW build and some of this Di2 groupset needs to be included on the new frame. So what todo with this frameset? Hang it on a wall or sell... as yet. Realistically, you're never going to get out what you put into that frame (money and time). I would hang it up in your garage, until such time as you can put it back together, and ride it. a battered and abused Ritchey Swiss Cross brought back to LIFE!!! Best bang for buck ww frame?